Our Anderson, South Carolina Hotel is the Smart Choice. Days Inn in Anderson, SC located directly off Interstate-85 and exit 19A, our hotel is near Clemson University and a number of other upstate businesses and area attractions, making it a premier place to stay for leisure and business travelers. Corporate guests will love being only minutes away from large companies like Milliken, Michelin, Electrolux, Bosch, Plastic Omnium, Anderson Area Medical Center, Anderson University and Duke Power in Anderson, South Carolina. Our hotels 24-hour Business Center also allows you to catch up on some work outside of the office. You can almost hear the cheering from Death Valley when standing at our hotels doorstep. Near Clemson University, our hotels guests will appreciate the convenient access to the school without being in the middle of the hustle and bustle of it all. In addition, guests staying with us will have close proximity to Lake Hartwell, where a variety of fishing and boating tournaments are held every year. 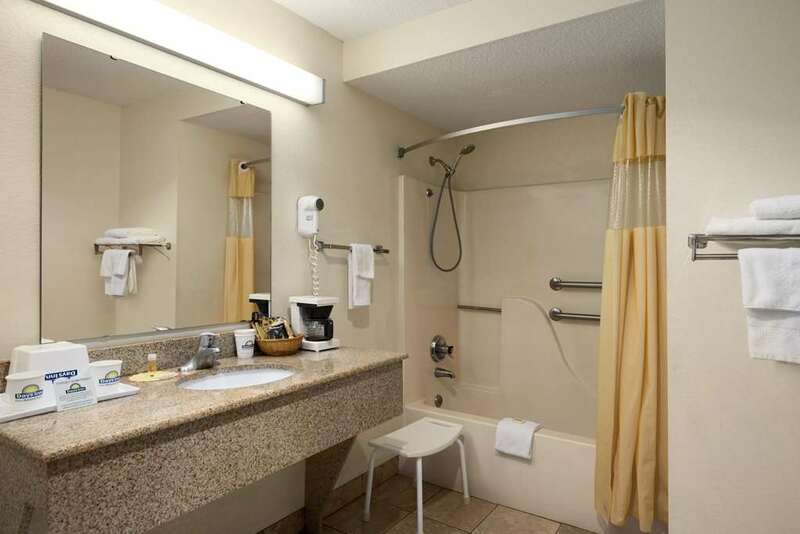 During your stay in Anderson, South Carolina, enjoy our hotels extra amenities that are provided just for you. Relax by the outdoor pool. Also, feel free to stop in and try a cup of our 100 percent Folgers coffee. HOTEL MAJOR FEATURE If you are searching for hotels near Clemson University, then you have found just the place. Only seven miles from the campus, our hotel provides guests with quick and easy access to exciting Tigertown. GUEST ROOM OVERVIEW Standard - Smoking and Non-Smoking When it comes to hotels in Anderson, SC, our well-appointed rooms easily stand out. With amenities like free high-speed Internet access, microwave and refrigerator in every room, its no wonder that our guests keep coming back. Suite If you are looking for affordable and convenient hotels in Anderson, SC, then you have found just the place. Our spacious suites are furnished with all of our standard amenities and include a cozy sofa sleeper.